The choice between large and local companies is part of every industry. But when it comes to construction, excavation, and repairs, local companies generally bring more to the table than larger organizations. Here are three reasons why your excavation needs, in particular, need a local service provider. 1. They are more familiar with local ordinances and zoning trends. Every region has their own accumulation of construction and excavation norms based on their combination of city, county, and state ordinances. Nationally branded companies may not be familiar with every rule and regulation, and that can cause delays in your overall timeline. Local companies are also more familiar with the actors and companies involved in local utilities, electricity, and service providers. This can save you time and they can help you work in areas with no zoning so you can pick up trends faster. 2. They may have excavated the area previously. Quick excavation relies on both good tools and good records. If it’s impossible to locate older records of where utility lines stopped in a developing or rural area, then that means you have to allow time for a lot of digging and searching. Good tools and trained excavators can cut down that time, but it’s still preferable to have the records. Look for Texas companies that may have worked in that exact area before. Not only will they have municipal records, they have their own historical documents of similar projects. 3. Local companies are more invested in long-term quality. Even if you need lightning-fast excavation, you still need quality assurance and minimal damage to the surrounding area. That’s where an experience hydro excavation company gives you the best guarantee. Not only does a Texas company have a vested interest in maintaining the integrity of the lines, they also have a long-term reputation to protect. You don’t have to worry about companies who are just interested in a quick paycheck. Go to 4 Warriors Hydro Excavation to schedule a time and get your excavation started. Just as you would do before hiring anyone to work on your property, whether that’s a roofer, plumber or some other contractor, there are a few keys things you want to ask an excavation contractor before using their services. If this is your first time hiring an excavation contractor, you have come to the right place! In this post, we will take a look at three key questions to ask before using excavation services. What’s Going to Happen to my Property? If you meet an excavation contractor who tells you an excavation job can be performed without any disturbance to your property, they aren’t being honest with you. Especially with major excavation jobs, there’s going to be a pretty big mess. Ask the excavation contractor what steps they’ll take to keep disturbances to a minimum and what their plan of action is for cleanup after the job. You don’t want to be left with a messy yard once the contractors leave; you want to know how they’ll handle it. Where Will The Dirt go? It is extremely likely that dirt will be a part of the excavation process, whether it’s in your backyard or in your basement. Reputable excavation contractors will know what to do with the dirt so that you aren’t left with the mess afterwards. Ask the company how they will dispose of the dirt once the job is done. How Will You Keep My Pipes Safe? You want to know that the safety of your pipes is a priority when excavators are working on your property. Ask the contractors how they plan to avoid hitting pipes and keep your pipe system damage-free during the job. If a pipe gets hit, you definitely want to know ahead of time what the company will do to fix the issue and cover the cost of damages. Digging the initial foundation of any new construction project is a very important part of the process that needs to be taken seriously. When going through the digging process, one of the most important parts of the process is to ensure you known where local utility lines and other hazards are located. One of the best ways to do this today is through vacuum excavation. There are several benefits of vacuum excavation that can make it the best option for you. 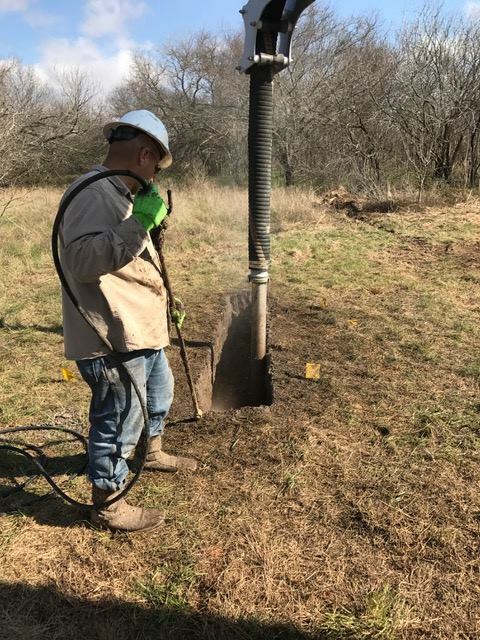 One of the main benefits of using vacuum excavation to identify the location of buried utility lines is that it is very safe and accurate. 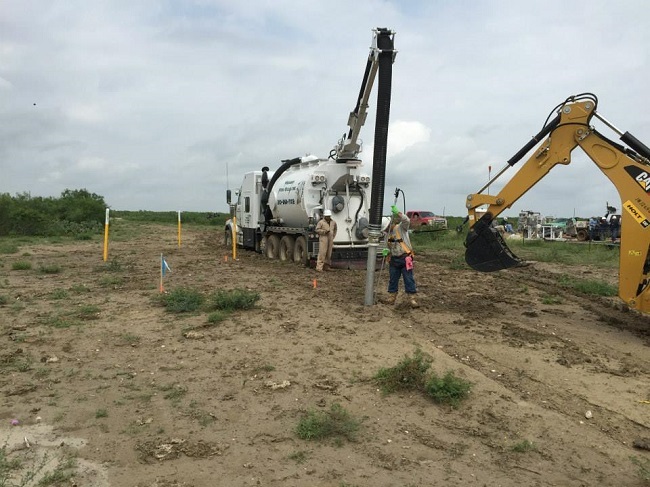 As opposed to using heavy machinery and getting into the holes in the ground, vacuum excavation can be completed entirely from above the ground using the excavation tools. The vacuum tools will then be able to clearly identify the depths and location of the utility lines and provide you with an extremely accurate report on location. Another advantage of vacuum excavation is that it will work in all types of terrain. Vacuum excavation is strong enough to work efficiently in soil, clay, rockier soil, and even if the ground is frozen during the middle of winter. The vacuum tube will also then store samples of the soil it cuts through to provide you with a more detailed look at the type of soil that you are working with. The third advantage of vacuum excavation is that it can be a very quick and efficient process. If you are on a tight timeline for your project, a vacuum excavation can be advantageous as it can be completed much faster than some of the other options. If you are interested in vacuum excavation, you should contact us to learn more about the benefits and services we can provide. Who Will You Trust With Your Day Lighting Project? 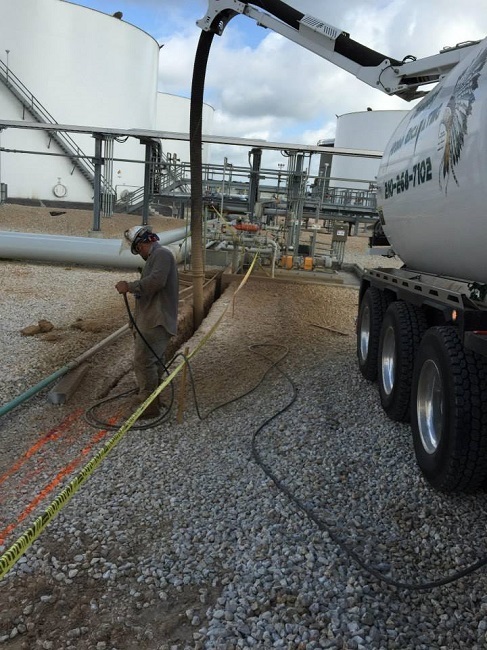 Find a company that uses hydrovac excavation instead of traditional tools or air vacuums. Hydrovacs move faster than other excavation tools with low-pressure air and water to move the dirt aside and expose the utilities. The low pressure better protects fragile elements of the system, especially compared to hand tools. It’s also much faster and requires less manpower so you can start working on utility extensions and modifications sooner. Ask the company about their average speed based on your area’s soil type so you can calculate the savings in both time and money. 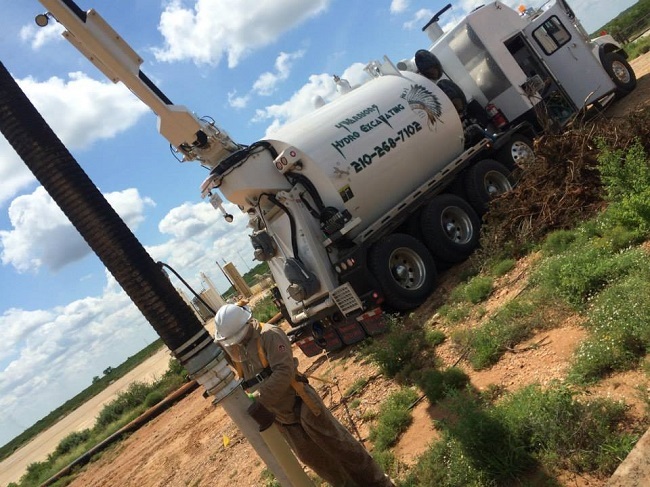 This process is particularly effective in Texas because the added water turns dirt into a slurry that can be quickly vacuumed away from the utilities. Hydro Vacuuming can be used for both spot excavations, or potholing, when you have an extremely localized spot that needs repairs and trenching so you can work in a wider uncovered area. Because the process doesn’t damage existing infrastructure, you can easily expand the area to find an incorrectly marked utility line or a hard-to-find part. Go to 4 Warriors Hydro Excavating to get started. An innovative and improved method of excavation used for large projects today is the use of a hydro-vacuum excavator to get underground. What is hydro vacuum excavation? Hydro Vacuum Excavation is the process that safely uncovers ground utilities via water. High pressured water helps break up rocks and dirt, while a large and very powerful vacuum removes the debris. Once this debris is removed, utilities are accessible. Vacuum Excavating is also referred to as soft rock excavation technology. The speed in which a hydro-vacuum can dig a deep hole renders hand-digging inefficient. This method of excavation is much cleaner and precise. Virtually any material can be removed through hydro vacuuming: rock, mud, sand, and water. What projects can benefit from this service? 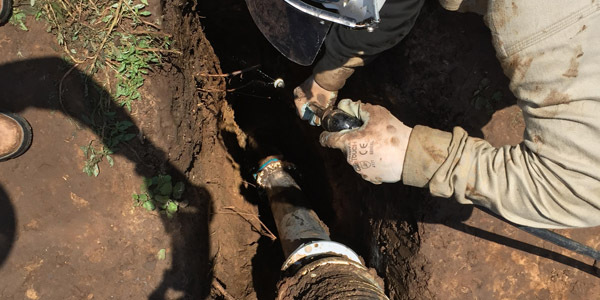 Using this service through 4 Warriors ensures that the client saves money and time during their project, both through the nature of the procedure and the reduction of discovering surprise underground utilities. 4 Warriors commit to exceeding the highest expectations of our clients, with a full and complete respect of timelines, budget, and safety concerns. We have advanced safety training and are qualified for projects that service refineries, substations, and nuclear facilities. For more information about 4 Warriors and hydro excavation needs, please contact us today. We look forward to serving you! Texas is in the middle of a statewide expansion, especially if you live near a major city or Metroplex. More and more companies are moving to take advantage of wide expanses of land and lower taxes, which means the smaller towns ringing those cities are expanding just as much. If you’re part of a team developing land that is near preexisting utilities, then it can be difficult to get started on figuring out where the previous expansion stopped. 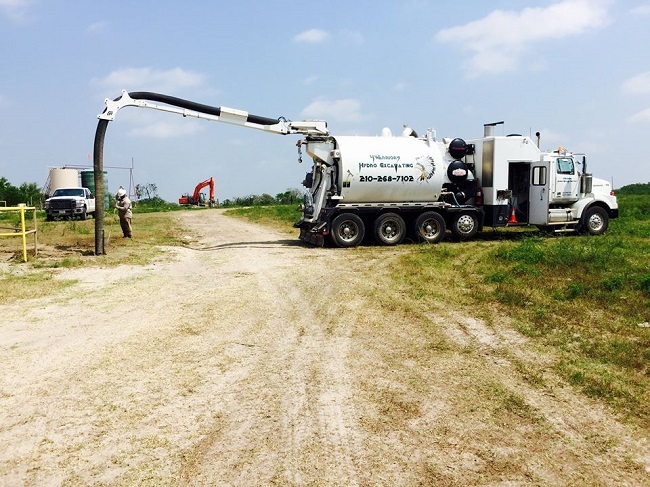 Potholing uses portable vacuum excavators to displace soil around a specific point, and they have low-pressure settings that remove any dirt, water, or debris without damaging the underlying utility lines. Not only does this mean you can quickly continue your project with a safely exposed line, you don’t have to worry about the potential damages and delays caused by backhoes or shovels. Trenching involves using low-pressurized air or water to create vertical or horizontal trenches in the dirt to locate utility lines. Because previous maps may be inaccurate or even missing, this technique can help your team quickly locate the lines and continue construction or repairs. Locating and building off existing utility lines is an essential part of building up cities, but it’s not always easy. Go to 4 Warriors Hydro Excavating to find experts who can quickly and safely excavate utilities for you. 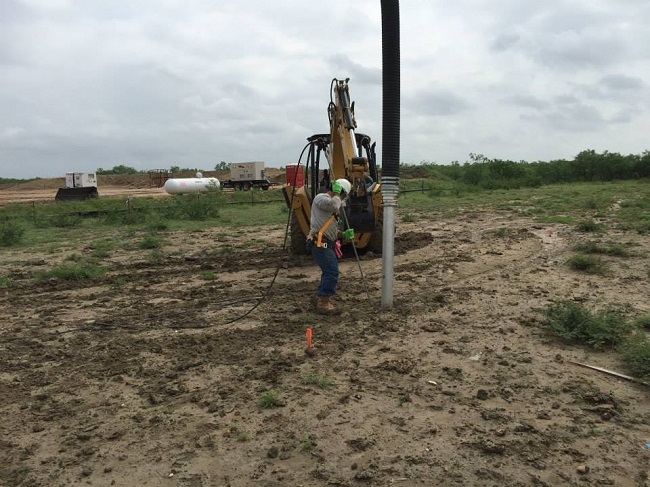 4 Warriors Hydro Excavating is seeking experienced operators and technicians in West & South Texas. Our benefits package is offered after 30 days. Contact us today to learn more! 4 Warriors Hydro Excavating is committed to exceeding our client’s highest expectations, fully understanding timelines, safety and of course your price budget. 4 Warriors has advanced safety training that is required to work refineries, substations, and even nuclear facilities. 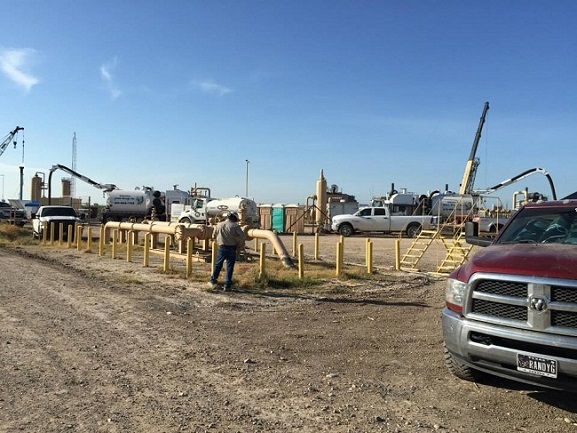 The operators at 4 Warriors have been in the industry for more then 6 years with extensive training and have been involved in some of the largest projects in Texas. The industrial training allows us to really “show up” on civil projects and often be ahead of the curve. Our full time HSE director manages our extensive site specific trainings, TWIC certifications, OQ certification, drug testing, and JSA procedures. Bottom line, 4 Warriors is the best at what they do! What Does Our Hydrovac Truck Do? What exactly does our hydrovac truck do? Hydro excavating is a simple process that provides much more precise, and potentially less destructive, excavating services than traditional methods such as backhoes or good old-fashioned back breaking shovel work. Trenching – Do you need to bury cable, pipe, or any other material that requires a trench to be dug? Hydrovac trenching offers a precise dig exactly where you need it at. We can do a straight line or a curved path. Daylighting / Potholing – Daylighting and potholing are methods of finding and exposing utilities so that your crew can safely work around them. 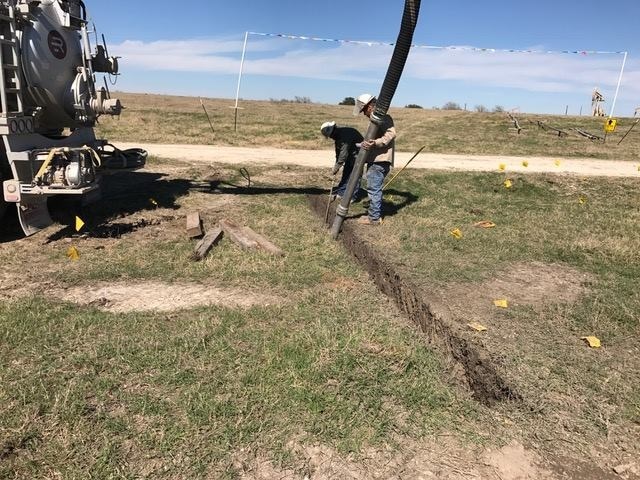 Our truck, along with our highly skilled techs, can find, locate, and reveal utilities with none of the risk traditionally associated with digging around buried objects. Our service will increase your productivity and safety while lowering your costs. If you would like to learn more about our hydro excavation can help your project, contact us today!